Love Padlocks de Paris! I saw hundreds/thousands of these padlocks spanning the Pont des Arts, which links the left bank to the Louvre. 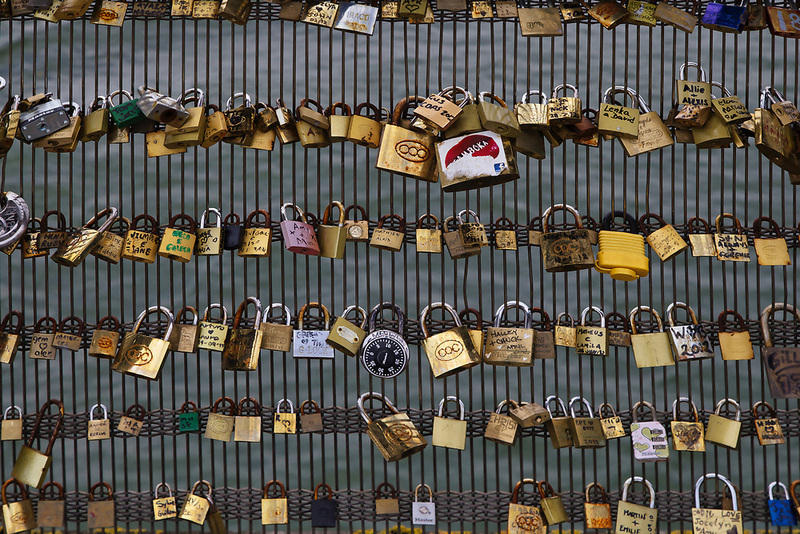 Lovers are known to often throw the key into the river Seine as a sign of undying love, or keep it and open the padlock when they next return to the French capital.